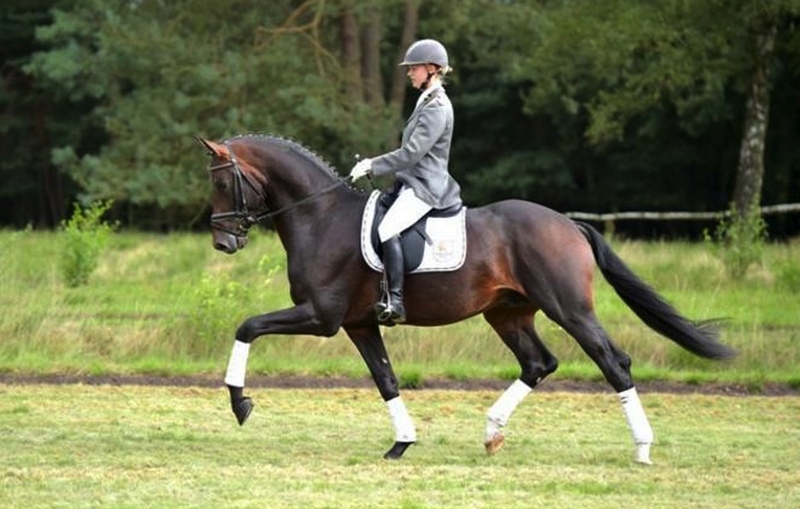 Buckingham, dark bay KWPN Stallion, by (Bordeaux / Rousseau) born in 2011, standing approximately 16.2 hands. 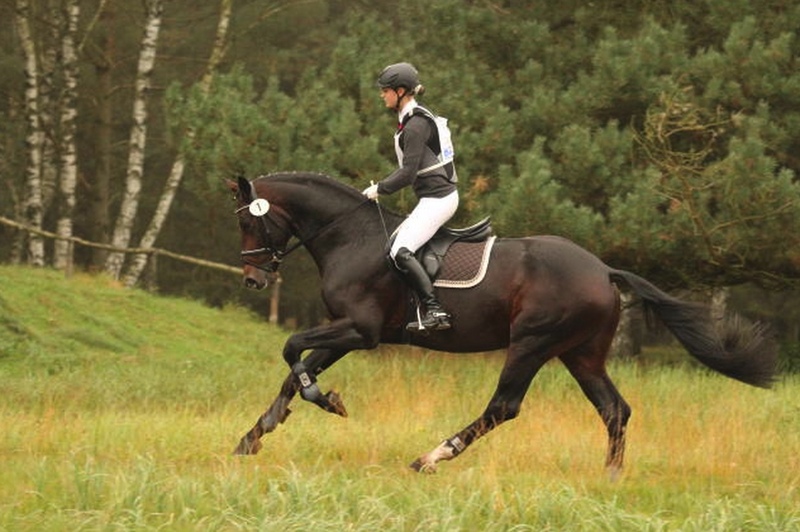 A sportsman from head to toe: that´s how Buckingham presented himself at the licensing in Vechta in 2013. 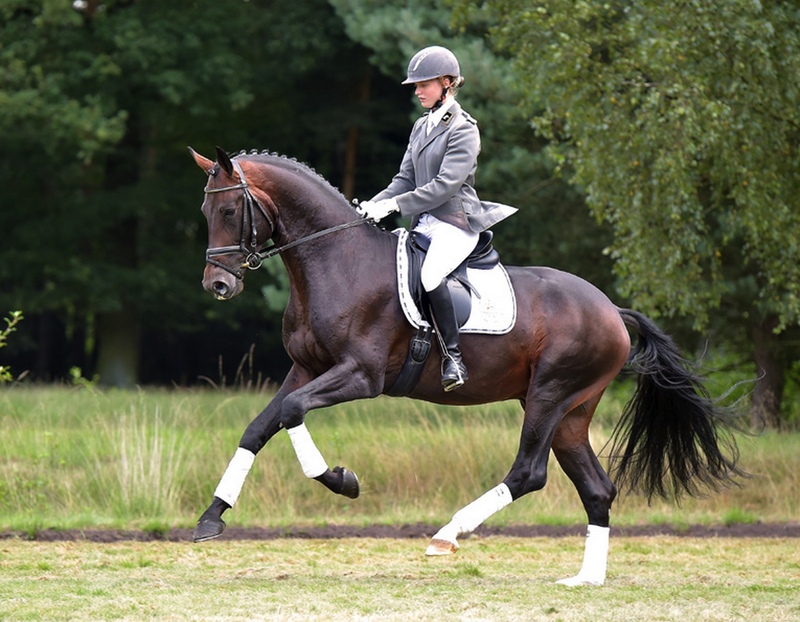 Under saddle, he has thoroughly reached all expectations, and it was no surprise that he became the best dressage horse of his stallion performance test with a breeding value of 154 for dressage. 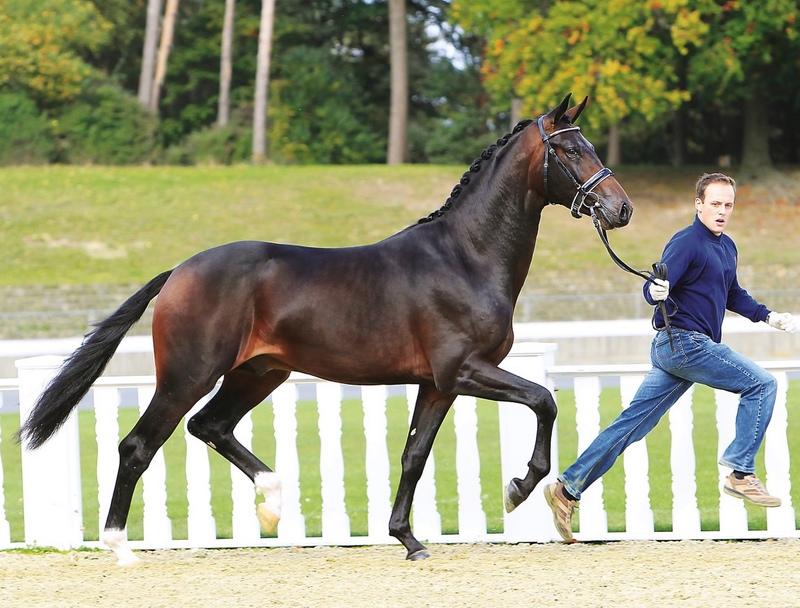 His three fantastic basic gaits and his constant willingness to perform were rated with outstanding scores, and the test riders were absolutely delighted: he got a 9,5 for his rideability. This athletic ability is no coincidence. 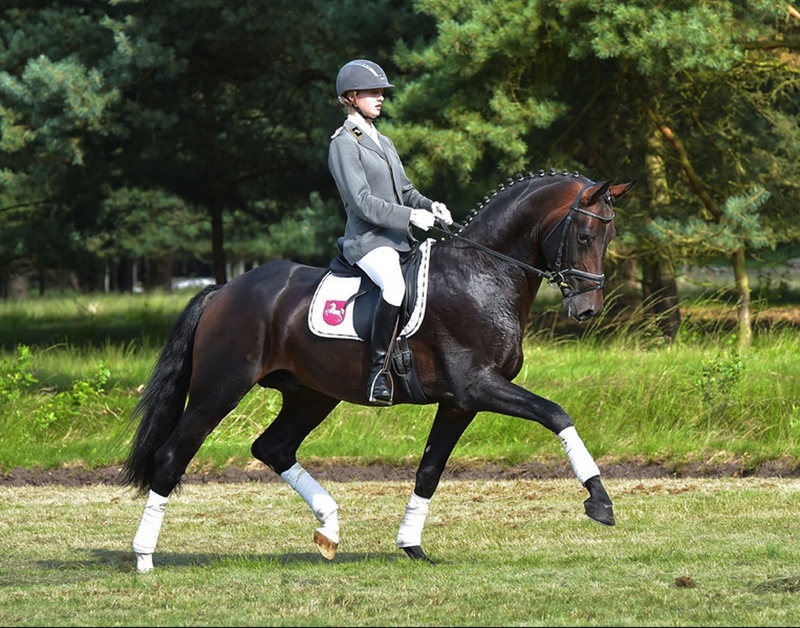 Buckingham´s father Bordeaux was placed 4th at the World Championships of Young Dressage Horses with Eva Möller. And Buckingham's dam´s sire, Rousseau, was second in these Championships in 2003 as well.